I always looked at life as "I'm here and I'll take it as it goes"…and that right there was the wrong way to look at life.. In the last 10 years I realized as to how much of a gift life is and how every drop of a minute is a precious one. My goal in this post is not to sound like a "self-help" dude but make you (the reader) realize this frame of mind as I do. When that happens you will look at things completely in a different light…That I will assure you :) As we all know we are all pages in a book, a beginning and an end, what is written in those pages are all up to us.. that is something we all need to understand. Consider life as a gift, your chances of entering this world are not that great but when you do..you start to unwrapping your gift slowly and things start to reveal. Some good some bad..but in the end we need to harness this gift and do what we love no matter what, no matter what the obstacle, and just have laser focus. By taking that approach, the hard work will eventually pay off. I always look at it this way.. whoever your higher power might be for you (woman or man)..they have given you this gift and in essence are asking you…I have given this to you now.. so, what are you going to do with it? It can be anything you heart desires from helping people, creating a new science, visiting this amazing planet and the gifts that it gives you, writing a novel, or creating something that can bring enjoyment to your community. It is endless, but it is a road that will give you a journey that you should always document and remain humble to what it has given you. I am a type of person that when I see talent in someone I have to have them be aware of it because it needs to be addressed. I think it would be a disservice if I did not. Many do not notice their talents and that is an absolute shame. Life is not always being about seeing ourselves do good it's about all of us elevating together and reaching the next level together. With that said if you see a talent in someone (friend or relative) please make them be aware of it and not only pay attention to your own journey..watch theirs as well. I know that this blog post might have nothing to do with Scavenger Hunts and what comes next, but life is not always about games :) If you are reading this and you have something you have always wanted to do..treat it as a hobby and who knows that hobby might blossom into a reality. Do not ever waste your temporary gift, because it something that should be cherished. Cheers! CASHUNT: DRIVE IS BEING DUSTED OFF FOR A LIMITED TIME !! The Game Experience that started it all is back, to Celebrate our 20th Anniversary! 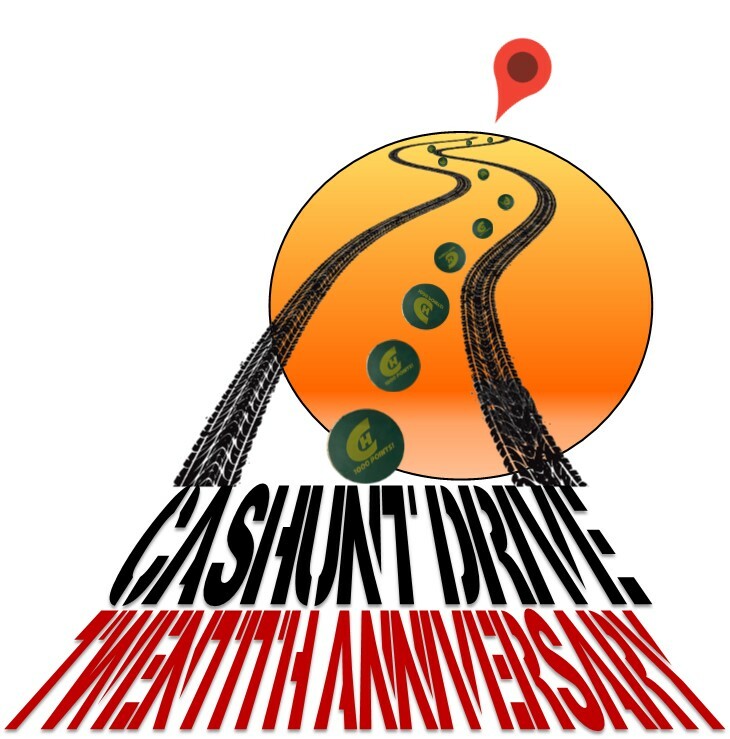 Cashunt Drive** Games are available startIng this spring and go through November 2020. (Limited) Speak with a game coordinator for details. **These games will take place in a tri-city/town radius in the Essex County area of Massachusetts! We are going " Back To The Future" for our 20th Anniversary! Cha - Cha - Changes are Good in the Creative Business Market! Hello Cashunters! Starting today we will be offering a FREE digital Boston Mad Dash Game via the Goose Chase App. The game will only be open for 3 teams and be live to play until 2/28. The team that wins will win a Free Private Live Boston Mad Dash for 6 players on Sunday March 24 in Historic Boston! This is how to play! **Download the Goose Chase App **Search for Cashunt, **Register Your Team, **Have fun and may the best team win! This game promotion is for our new Digital Cashunt Game that will be available this spring! !